We already knew that Pen Ward and WayForward were working on a DS game, but this is the first we've heard of the game's title, premise, tentative release window, and planned appearance on the 3DS. We've also been treated to some additional art from Mr. Ward, which you can find in the gallery. It's stunning. The game's focus on the Ice King's cute and creepy ways comes as a pleasant surprise. The way the character rides that fine line between "dangerous stalker" and "lovably delusional" is nothing short of magic. I wonder if he's seen I Think We're Alone Now? So what kind of game is Adventure Time: Hey Ice King! Why'd you steal our garbage? going to be? Will it be a cross between Monster Hunter and Katamari Damacy? How story focused will it be? What's are the differences between the DS and 3DS versions? We don't know a ton about that yet, though there are bits of new information in the press release below. You could also glean a few niblets of truth from a recent episode of Sup Holmes? with Konjak, who happens to be working on the game. I've been begging WayForward for additional info on the game since yesterday, so stay tuned. OH MY GLOB! THIS IS LEGENDARY! Adventure Time™: Hey Ice King! Why’d You Steal Our Garbage?! 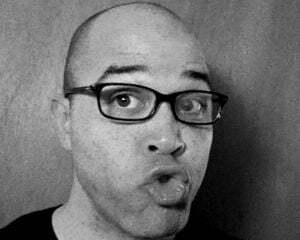 LOS ANGELES – May 8, 2012 – Ready for a mathematical, algebraic, radical time? D3Publisher (D3P), a publisher and developer of interactive entertainment software, and Cartoon Network Enterprises (CNE) today officially announced the upcoming release of Adventure Time: Hey Ice King! Why’d you steal our garbage? !, a video game based on the popular Cartoon Network series, Adventure Time. This is the first Adventure Timevideo game that will release on the Nintendo 3DS™ hand-held system and Nintendo DS™ hand-held system late fall. 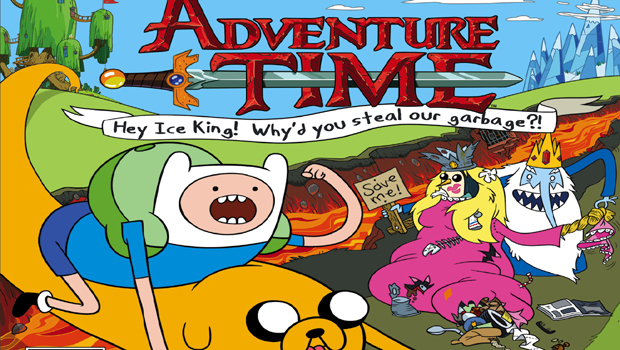 In the first licensed Adventure Time video game, Finn and Jake wake up one morning to find their trash stolen by the Ice King. Jake couldn’t care less about half-eaten bananas, crumpled up burrito wrappers, and old chicken diapers – but when they find out the Ice King is using their stolen goods to construct a Garbage Princess, the heroes embark on a fantastical adventure to teach him a lesson! Journey through the Land of Ooo in an offbeat adventure and discover perilous dungeons and unimaginable treasures, while playing as Finn and Jake in a unique action-adventure experience. Adventure Time is the pop culture sensation, Emmy-nominated, top-rated show among kids, and its popularity continues to soar both on air and at retail. The series follows Finn, an adventure-seeking kid and Jake, his shape-shifting canine best friend, on their adventures in the Land of Ooo. The awesome duo save princesses, battle the notorious princess-kidnapper, the Ice King, party in Lumpy Space, fight in dungeons, and even befriend Marceline the Vampire Queen. Since the start of its fourth season, Adventure Time is the #1 program on Mondays on all television with kids 6-11. Adventure Time: Hey Ice King! Why’d you steal our garbage? !, is currently rated “RP” (Rating Pending) by the ESRB. Additional details about the game will be available in the coming months. For more information in the coming months on Adventure Time: Hey Ice King! Why’d you steal our garbage? !, please visit www.d3publisher.us. D3Publisher is a leading video game publisher for all platforms, including: the Wii™ system, Nintendo DS™ and Nintendo 3DS™ handheld systems, PlayStation®3 computer entertainment system, the Xbox 360® video game and entertainment system from Microsoft, Windows PC, and wireless devices. D3Publisher has operations in the U.S., and Japan. The company also owns development studio Vicious Cycle Software, Inc., and its technology platform, Vicious Engine 2™. For more information about D3Publisher and its products, please visit:www.d3publisher.us.